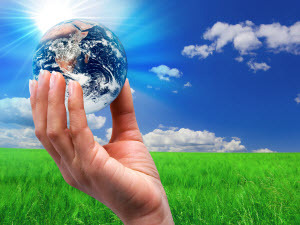 VISION: Param Pranyog is a mission to generate positive energy sanjeevani (Mother of Energy) for the required current issues on the Earth that have created discomforts (Global Warming, Terroism, Deforestation, Corruption, Squalor etc.). Param Pranyog envisages to heal such discomforts thourgh Meditation on a Particular Topic/Problem/Issue through out the globe at the same time via Pray/Conferences/Workshops". Align for new you ( Remedies for discomfort):Meditation awakening with the life force energy, Date with your real self. "Meditation is a process to merge with nature." In today's scenario it has become a necessity the entire humanity to come in contact with the nature as we have forgot the real sense of humanity, as a result of which the total social set up has been going through a state of mental unhygienity. To neutralize the adverse effect of this imbalanced situation, a simple and effective way is to meditate for a while for a noble purpose for the entire humanity. The word mediation has a healing power in itself and it cleans the entire negative aura which is diluted in our atmosphere and unconsciously we are being affected by this. As a result of which we develop stress, failure, anxiety, unacceptance attitude, poor health, poor concentration or any kind of discomfort in ease. So, I want to introduce my self as an instrument to the common mass and wish to help them to get rid of such kind of situations as I have been doing this for so many years and have proved myself very beneficial to the practitioners. (Corporate, Schools, NGOS and individuals) The process comprises of the undermentioned few simple steps. A short lecture on the topic. ( why meditation?) Guided Meditation, part 1, 2,3,4,5 and 6. (for healing and cleaning aura). NOTE:No connection with any religion. It's a key to infinite satisfaction.